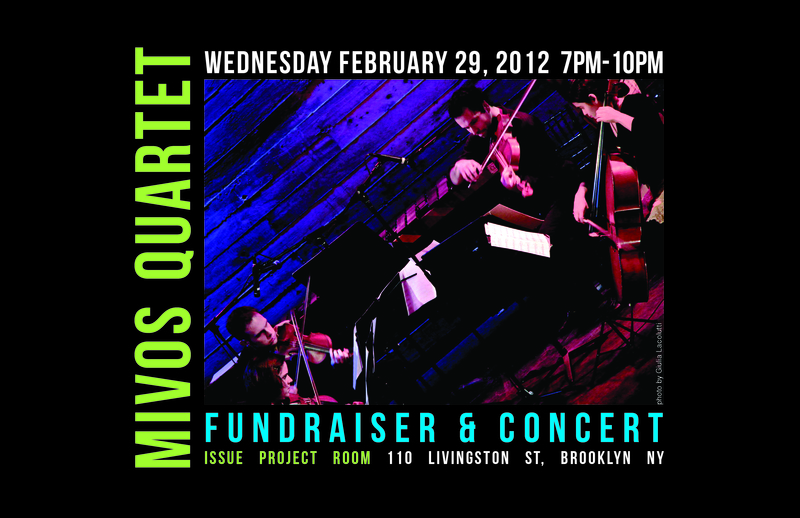 On Feb 29 2012, this extra day of the year, Mivos Quartet will be hosting their first fund-raising event at the gorgeous new Issue Project Room space on 110 Livingston, Brooklyn. Mivos will play three sets, presenting works by JG Thirlwell, Annie Gosfield, Tristan Perich, Patrick Higgins, Alex Mincek and Elliot Sharp. They will also be joined by Ned Rothenberg on clarinets, Timucin Sahin on guitar and vocalist/composer Sasha Siem, performing their own works. 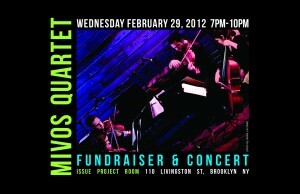 The fundraiser is aimed at covering Mivos Quartet’s travel and lodging to Darmstadt in Germany this year. They will perform a string quartet version of JG Thirlwell’s classic Manorexia track, “Zithromax Jitters“. Mivos Quartet includes Manorexia / Steroid Maximus alumni Olivia DePrato and Isabel Castelvi, along with Joshua Modney and Victor Lowrie.